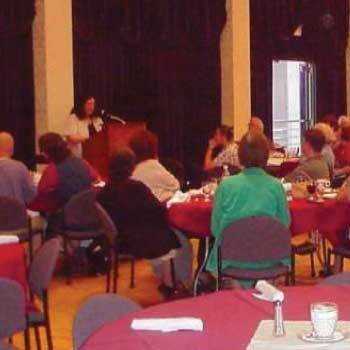 Heritage Tourism for West Virginia, the PAWV Annual Conference held Sept 5, 6, & 7, 2002 in Morgantown, attracted about 75 attendees to share and learn about developing Heritage Tourism in their own communities. A wealth of talent contributed talks or led workshops, including keynote speaker Tom Moriarity from Economic Research Associates, Jerry Kappel from American Association of Museums, Scott Gerloff of Potomac Heritage Partnership, and Becky Cain of Greater Kanawha Valley Foundation to name just a few. 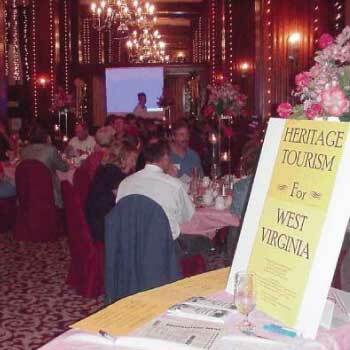 Friday afternoon’s session at the historic Hotel Morgan showcased the proposed Heritage Tourism program for West Virginia, as well as a number of existing heritage region efforts. 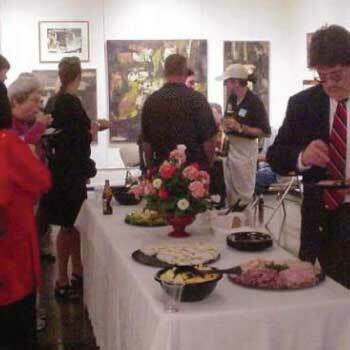 Friday evening featured a social reception at the old Morgantown Post Office, which has been given new lease on life as a community Arts Center. Saturday featured an abundance of useful and inspiring “how to do it” sessions on preserving for tourism, interpretation, and the business and economic impact of heritage tourism. The Conference was co-sponsored by Appalachian Forest Heritage Area, WV State Historic Preservation Office, WV Main Street Program and the National Trust for Historic Preservation. 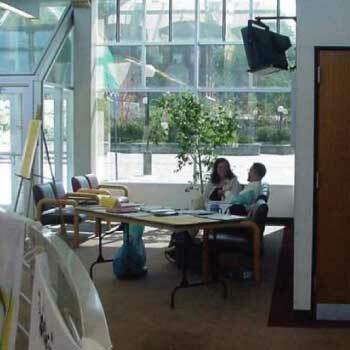 Features Task Group work sessions, Task Group presentations, and whole group discussions working toward the project strategic plan. The evening presentation is open as a “pre-conference event” for conference participants. Please indicate on registration form if you will attend. 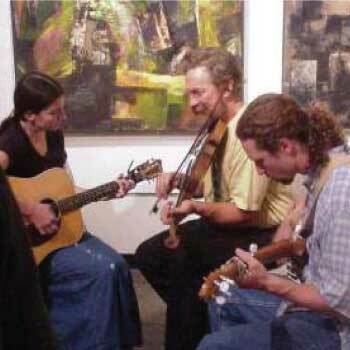 Refreshments and live acoustic music by "The Wood Ticks" -- a new name for traditional old-time mountain musicians Keith McManus (from Stewed Mulligan), Jeff Bush, and Karen Wade. Session 1 -- Historic Landscaping an introduction. Jeremy Morris, landscape architect and coordinator of Community Design Team program and Forest Heritage Area panel leader. George Longenecker, Professor of Landscape Architecture and Landscape Director for Fallingwater, will discuss decision-making in natural settings -- "maintaining things so that they look like they have always been that way"
What are the types of plans that can be done, why do them, what the differences are, what you want out of a plan and how it will help you. Paula Reed will discuss Historic Structures reports and what they include. Becky Cain, President & CEO, The Greater Kanawha Valley Foundation, will share suggestions and tips for making a fundraising campaign work, with particular emphasis on cultivating donors and keeping them. Karen N. and Johnny G. Nance, owners of the Old House Doctor, have restored buildings for eighteen years. Their presentation will focus on research and planning, dos and don't, and the challenges of historic preservation. The presentation will cite examples from the Old House Doctor's restoration / rehabilitation projects. Their projects include community volunteer restorations such as the Historic Madie Carroll House restoration, purchase and preservation of historic houses such as the Crawley House and Aunt Em Taylor House, and contracted restoration of historic sites such as the Historic Gallipolis Band Stand, Historic Norton Tower House, and Historic Virgil Lewis House. Ms. Nance hold a BA degree with majors in history and basic humanities with a minor in anthropology as well as a MA degree in Geography with a minor in anthropology. Mr. Nance, a structural carpenter, has completed two carpenter apprenticeships as well as apprenticed in other crafts such as electrician, pipe fitter, and insulator. A major developing area in heritage tourism is capitalizing on our rural heritage and maximizing the utilization of our farms and agricultural businesses. Session will focus on latest developments with case studies from near and far. Loudoun County Virginia has developed some exceptional programs that will be highlighted. Scott Gerloff, CEO, Potomac Heritage Partnership - Overview of Agri and Rural Tourism. James Maetzold, National Alternative and Agritourism Leader -- Natural Resources Conservation Service, USDA. "Trends in rural and outdoor tourism, Federal programs and best practices"
Janice Artemel, Executive Director, PHP, Loudoun County Virginia Case Study. Session 2 -- Heritage Tourism and Community Development. This session will explore how heritage tourism can and should be part of your town's community and downtown revitalization plans. The National Trust's approach to heritage tourism will be presented as will case studies from Alexandria, Virginia and Beckley, West Virginia. Scott Gerloff, CEO, PHP, Overview from Main Street and National Trust Approach. Jean Federico, Office of Historic Alexandria, Executive Director. "Historic Areas and Heritage Tourism: Past, Present and Future." Jill Moorefield, Main Street Manager, Beckley, West Virginia, Case Study. Presentations will primarily focused on suggestions and tips for branding your historic community, area or place. A special focus will be on West Virginia's branding and marketing programs. In addition, the branding examples of Greater Morgantown and The Frontiers to Mountaineers will be highlighted. Scott Gerloff, Overview on Branding. Andre Nabors, West Virginia's Branding and Marketing efforts. Stacy Brodack, Morgantown CVB, will talk about "Frontiers to Mountaineers" project. Effective interpretation is much more than just good public speaking. Interpretation facilitates connections between the meanings of the resource and the interest of the visitor. It provides opportunities for the audience to form both intellectual and emotional connections to the meanings and significance of the resource. This session will explore the fundamental tenets of interpretation and how it works. Matt is the Chief of Interpretation & Cultural Resource Management at Harpers Ferry National Historical Park. He has been a front-line interpreter, supervisory interpreter and manager at 11 National Park units including Yellowstone National Park, Olympic National Park, and Assateague Island National Seashore. Matt is active as a trainer, mentor and interpretive product certifier in the National Park Service's Interpretive Development Program. Matt believes that effective interpretation can lead to resource preservation. This conference will highlight the new program, showcase current heritage area efforts, and offer exciting and educational programming to help your heritage tourism effort be more successful. The conference keynote speaker is Tom Moriarity, Principal, Economic Research Associates. Mr. Moriarity manages design and redevelopment planning studies for urban mixed-use projects, retail projects, heritage area projects and commercial and historic districts. Session Presenters for Saturday’s Workshops include Scott Gerloff, CEO Potomac Heritage Partnership; Matt Graves, Chief of Interpretation at Harpers Ferry NP; Mike Gioulis, preservation consultant; and Deb Keddie and Rick Warmuth from The Walkabout Company, media production consultants. On Thursday the Forest Heritage Area will hold their third stakeholder meeting. Forest Heritage Area is a regional heritage area initiative in the mountain highlands of West Virginia and western Maryland. Based on the Central Appalachian Forest, the project seeks to integrate the forest history, culture, handicraft, management, ecology and industrial production of this region into a multi-state tourism initiative to promote rural community development. All interested in the project are welcome to participate. Thursday evening’s Guest Speaker will be Jerold Kappel, Director of Development for the American Association of Museums. Jerry offers experience in developing funding opportunities, fundraising and development issues He serves on the board of Travel Industry Association of Americas’s National Council of Attractions. This conference of Preservation Alliance of West Virginia, is co-sponsored by the WV State Historic Preservation Office (with partial funding by the WV Division of Culture and History and the National Park Service), West Development Office- Main Street Program, and the Forest Heritage Area Project. Additional funding by the National Trust for Historic Preservation and The Walkabout Company. ​The project that was the purpose of this activity has been financed in part with Federal funds from the National Park Service, Department of the Interior, and administered by the West Virginia Division of Culture and History. However, the contents and opinions do not necessarily reflect the views or policies of the Department of the Interior, nor does the mention of trade names or commercial products constitute endorsement or recommendations by the Department of the Interior. Regulations of the U.S. Department of the Interior strictly prohibit unlawful discrimination in departmental Federally Assisted Programs on the basis of race, color, national origin, age or handicap. Any person who believes he or she has been discriminated against in any program, activity, or facility operated by a recipient of Federal assistance should write to: Director, Equal Opportunity Program, U.S. Department of the Interior, National Park Service, P.O. Box 37127, Washington, D.C. 20013-7127.